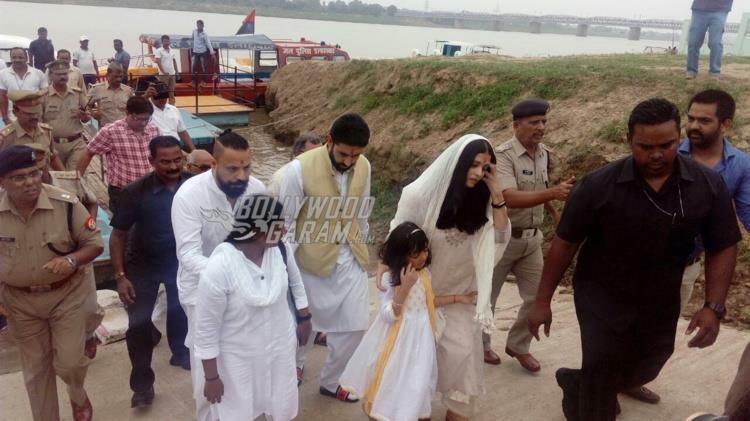 Aishwarya Rai Bachchan, along with husband Abhishek Bachchan and daughter Aaradhya were photographed at Allahabad on August 5, 2017. 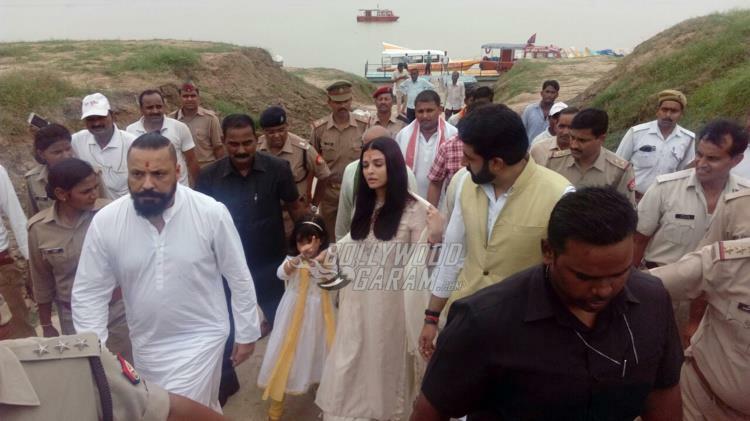 Aishwarya was at Allahabad to immerse her father, Krishnaraj Rai’s ashes, at the banks of Triveni Sangam, which is a confluence of three rivers in Allahabad. 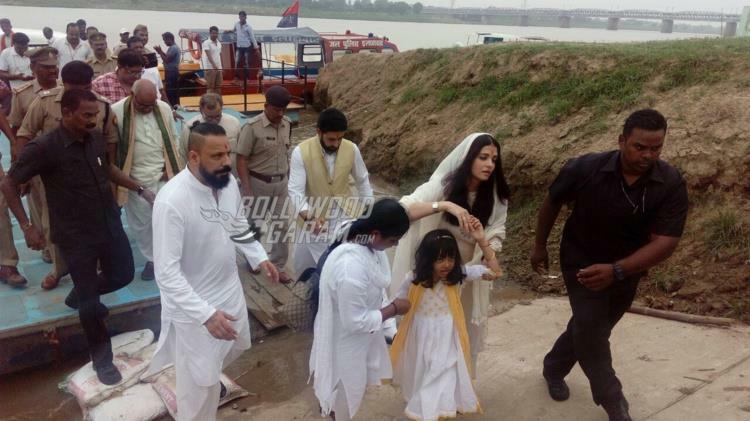 Aishwarya, Abhishek and Aaradhya wore white outfits and looked exhausted due to the hot summer in the city. 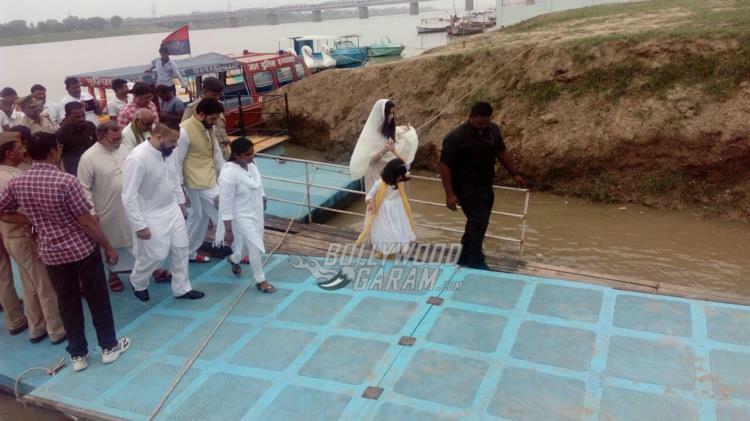 Krishnaraj Rai was suffering from lymphoma cancer which spread to his brain and was in the ICU for more than a week. 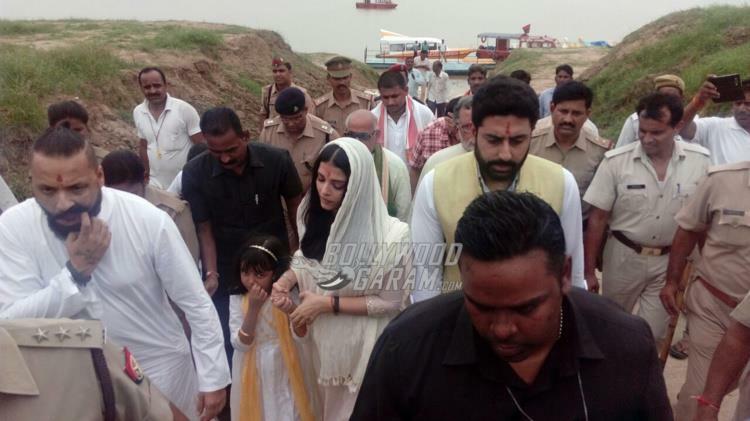 The rituals for immersion of his ashes were performed by Aishwarya, Abhishek and Vrinda Rai on the banks of the holy river. 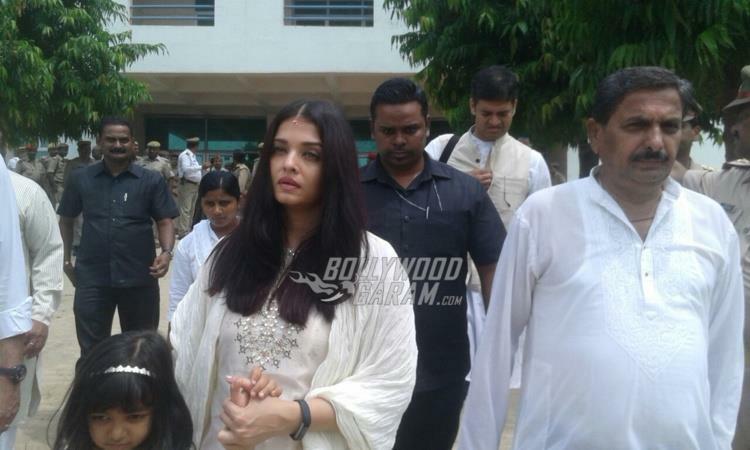 The Bachchan family also visited the Sahasralingeshwara temple in Uppinangady to offer prayers for Krishnaraj Rai. 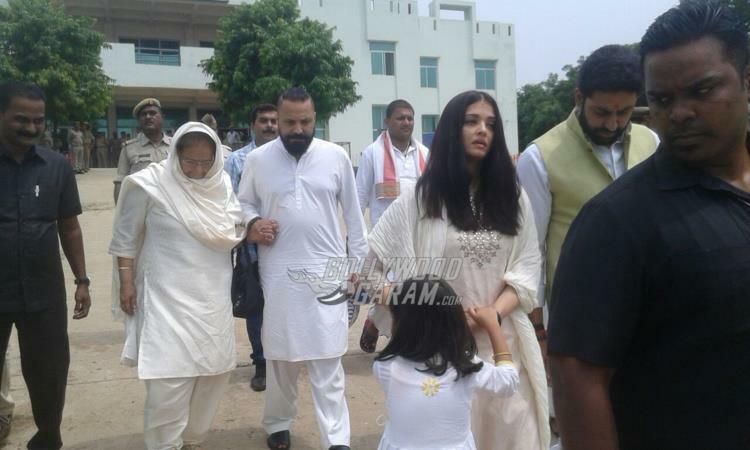 On the work front, Aishwarya is currently filming for the film Fanney Khan while Abhishek will be seen in the upcoming film Paltan.